Full disclosure here: I start my Christmas shopping in January. In fact if truth be told, I never really stop it. Throughout the year I pick up pieces as and when I see them, as ideas pop into my head or as I’m visiting somewhere. For some the very idea of that is enough to turn the stomach I’m sure. I love Christmas. I always have. I love buying presents, I love wrapping presents and I love giving presents. Generally if someone receives a present in my family it’s indirectly come from me, being that I’ve been tasked with my entire family’s Christmas shopping since I was a kid. So without further ado, I put forward my gifting advice for the season ahead. 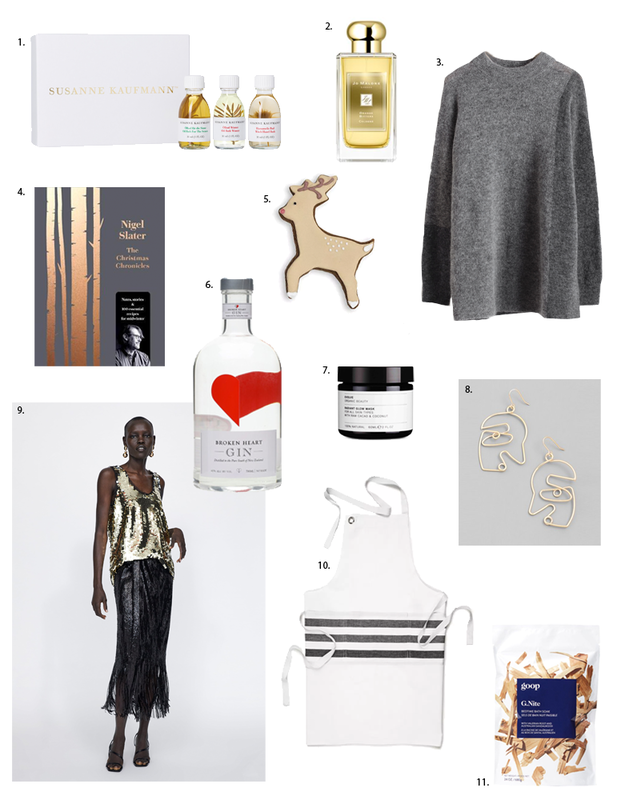 The millergrey Christmas Gift Guide 2018. I’m all for monogramming. I’m all for dapper pyjamas. Combine the two I’m near ecstatic. Soho Home’s festively green robe (1) can be personalised with initials embroidered to the chest and positively reeks of gentlemanly cool. Anything from Jo Malone London and I’m happy personally. This Whisky and Cedarwood (2) cologne is by far my favourite. The bottle’s a beauty too. Mast Chocolate (10) doesn’t just taste amazing, it looks amazing. Stack them up, tie in a velvet bow and please even the most design-conscious folk. House Doctor recently launched this Instagram-worthy metal toolbox (3). If you’re the kind of person to furiously yell at the fact you keep finding DIY implements around the house (yet continue to redo just about every room in your house) let’s at least give them somewhere aesthetically pleasing to be returned to upon said yelling. Gucci Soho Disco Bag (3), just ‘cause. Slouchy Arket Knit (9), again just ‘cause. My love of personalised things at Christmas is apparent. This wool sleep mask from Soho Home (6) can again be embroidered with up to three initials, whilst these leather stick-on letters from Anya Hindmarch (2) are just plain fun. If she’s the type to also love a good notebook or diary, I’d suggest a nice new leather one to go alongside them. If you’re buying jewellery, keep it classic and keep it timeless. 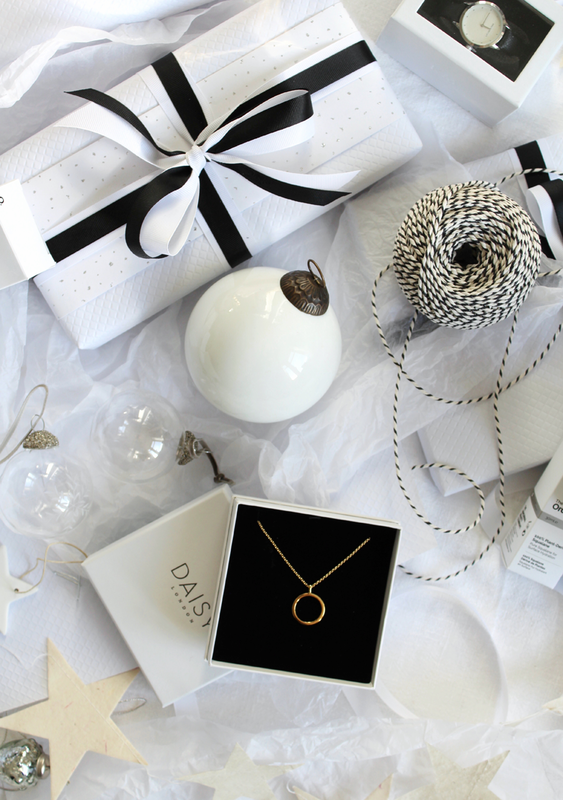 This beautiful circle necklace from Daisy London (above) is as classic as they come. Diane Keating’s coffee table tome, The House That Pinterest Built (4), is an excellent piece of evidence that sometimes time spent on social media is indeed productive. Elevate their commute with this incredibly stylish travel mug from Royal Doulton (7). The red plastic number they bought whilst food shopping may be practical, but it certainly isn’t as chic is it? 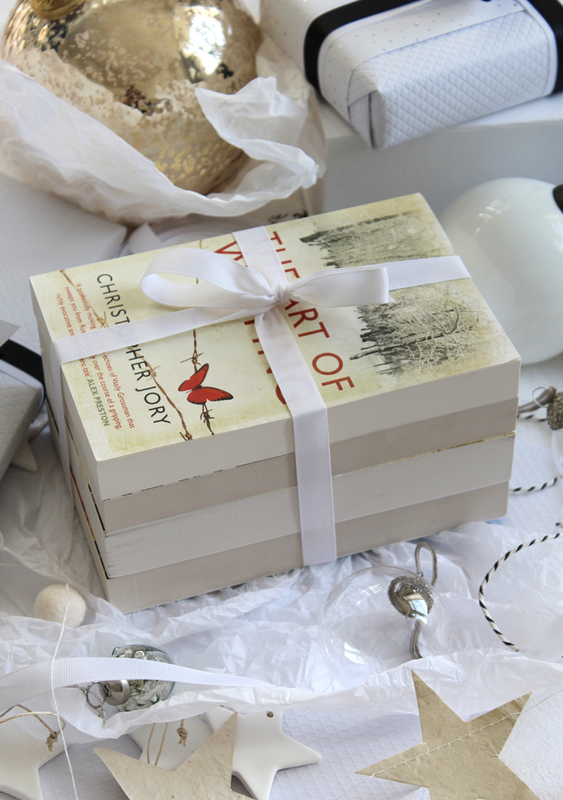 I like the idea of passing on your love for something; so why not gift someone your favourite book and tell them exactly why you love it on the tag. If they never read it, it’s unlikely to have cost you a fortune. If they do, maybe they’ll love it too. Out Of Africa (10) is one of my personal favourites, I’ve passed it on to several people over the years. Nigel Slater’s The Kitchen Diaries II (4) is a beautiful book. If they’re keen cooks it’s a wonderful walk through a year of eating. Complete the gift with some organic olive oil (9) and artisan coffee (5). 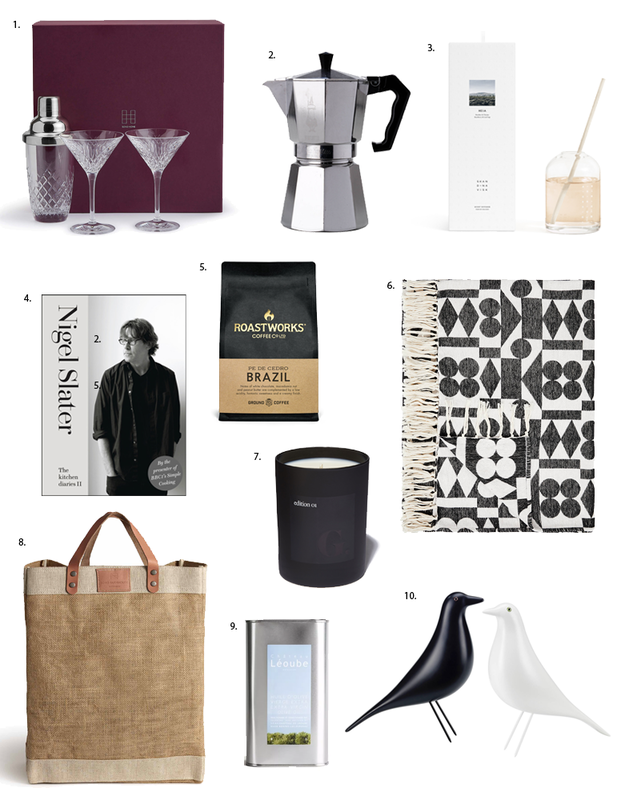 I couldn’t create a gift guide without a few nods to the environmental issues I continually push; this Soho Home jute shopping bag (8) is truly one of the classiest reusable bags around. Fill it with foodie treats and add a tag. People say candles or diffusers can be a boring gift, I couldn’t agree less. Make sure you take some time to think about the kind of scent they’re going to like; this Goop candle (7) smells like roaring fires and incense. The festive season is a busy one. You spend all of your days buzzing around thinking about everyone else, so it’s important you treat yourself every now and then again too. 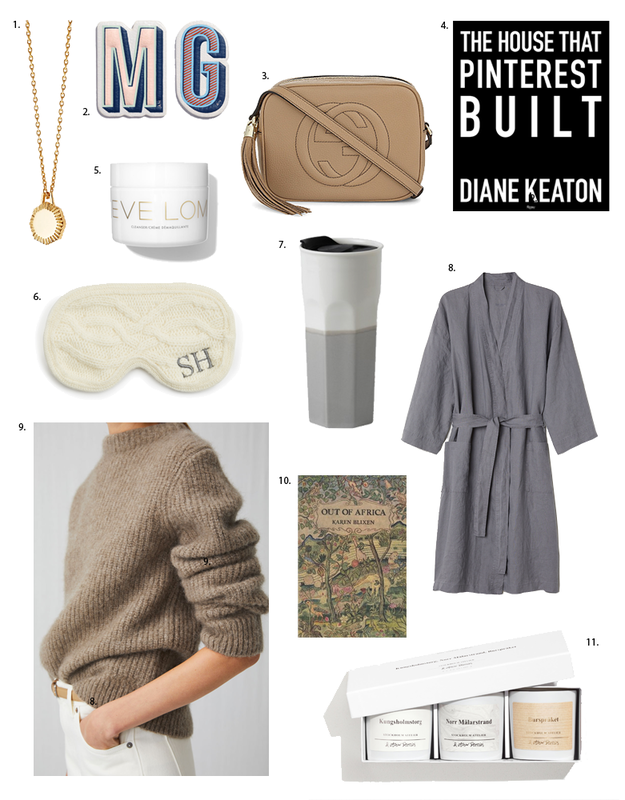 This edit might also come in handy if you’re looking for those little extras to send someone’s way as a subtle hint. Long soaks in the bath, preferably with a book or an episode or two of Brothers & Sisters are my favourite. Goop’s G’Nite bathsalts (11) my turn your bath a strange camel colour, but the results are stellar. 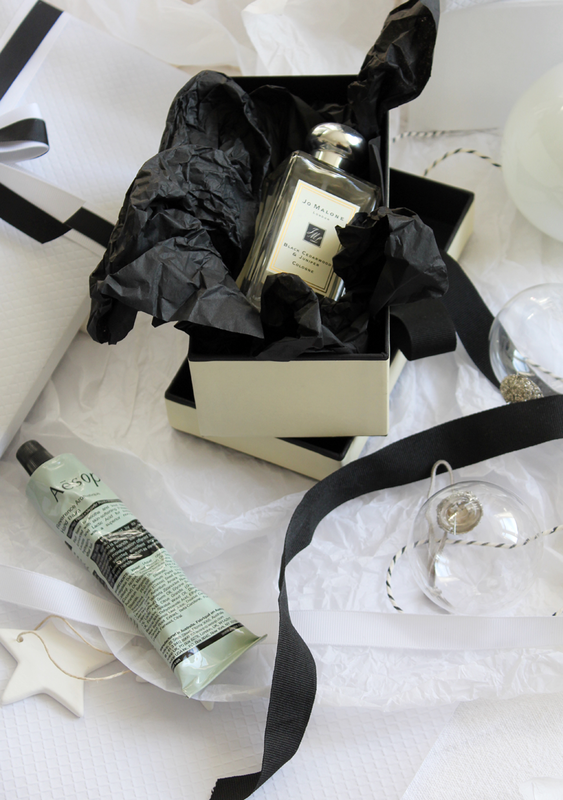 Susanne Kaufmann Winter bath oil, included in this kit (1), is what Christmas would smell like if it were a liquid. Christmas Eve in the tub sorted. Bring the Broken Heart Gin (6). You’ll need a party outfit (or two) so buy separates to mix and match and make the most of what you have. This sequin skirt from Zara (9) is epic and will inevitably also serve you well when that friend announces their birthday is ‘Great Gatsby’ themed next year. Going to be spending a lot of Christmas Day in the kitchen? Give yourself a fancy pants apron (10), let’s elevate the gravy stains. If you know someone’s a reader, or perhaps even that they want to be reading more than they are, books are one of my favourite presents to give. Each year I deliver my Grandma and Mum a stack of books I’ve spent the year buying for them. It’s a relatively inexpensive way of giving a gift that has a lot of thought behind it, showing you’ve spent time selecting things you think will interest – Grandma likes anything to do with the war or European history, whilst Mum generally gets a selection of the ones I’ve seen winning awards or receiving amazing reviews! Keep your eyes on sites like The Works, quite often you’ll find them do five books for £10. Place them in a nice neat stack and tie in a bow. 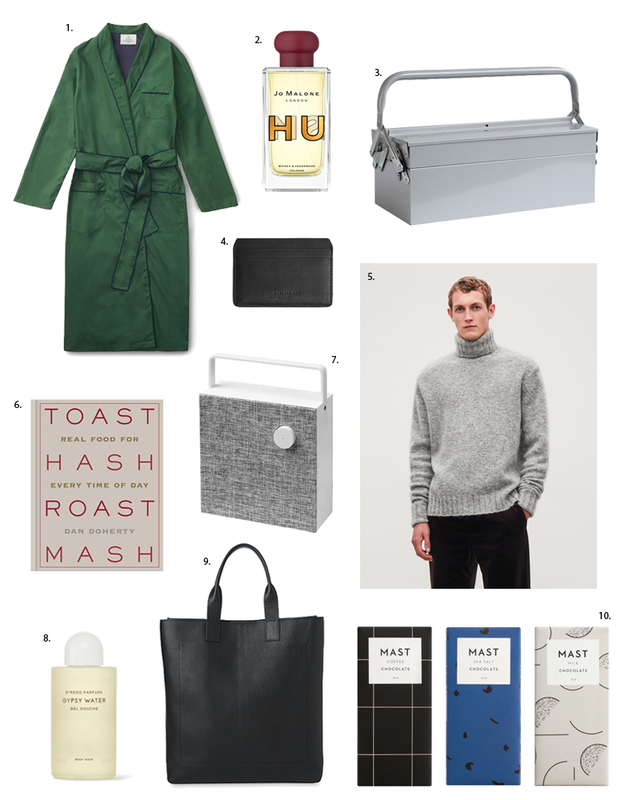 Go all out and add in some cashmere bed socks and some gourmet hot chocolate, their own personalised winter start kit. I always like to provide a baked good or homemade chutney with presents. Handily enough you’ll find the recipe for a quick and easy biscotti here. Baked a few days before, fill a jar and write a little note. They’ll be good for a week or two if the container’s air tight. Don’t underestimate the pre-made gift. 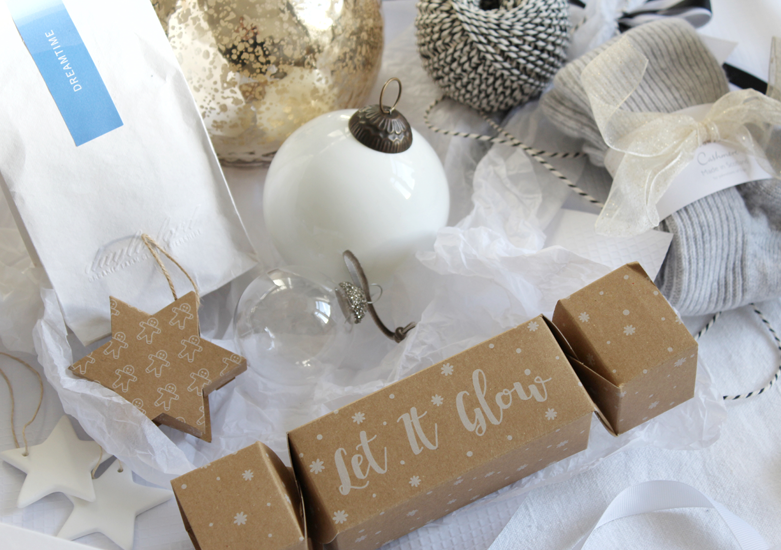 A whole host of brands are now producing ready made gift items; from chocolate filled baubles to sleep inducing sprays concealed in patterned crackers. They’re a great (and easy) way to add something a little extra to a gift. Recently I discovered Evolve Beauty via Deliciously Ella’s Instagram. Their Radiant Glow Mask features in the You edit above, the same product that is also included in this beautiful little cracker, £20. It’s made of Cocoa and coconut and whilst it might take ALL OF YOUR MIGHT to not just eat the thing, the results are great. The brand’s organic and ecological credentials make it a firm favourite of mine. And now to wrap them. Looking for some ideas? 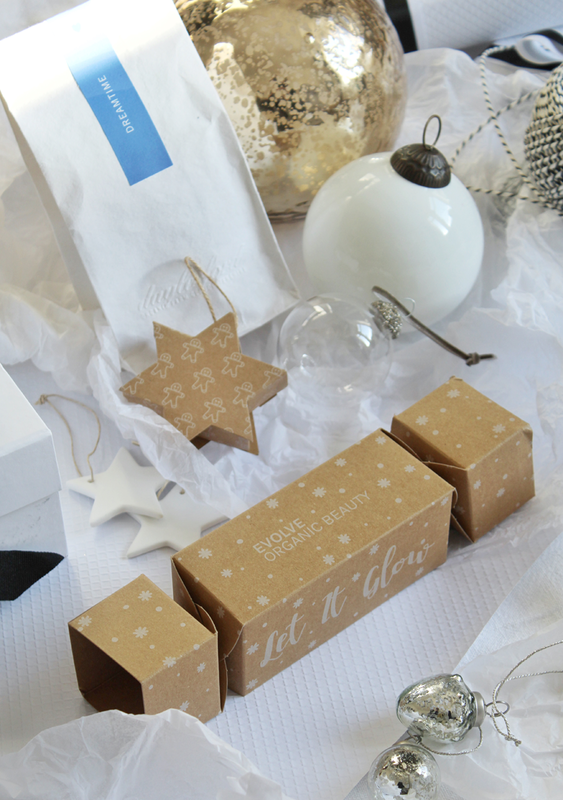 Check out last year’s wrapping guide, crafted with paper from IKEA. Cheap, chic and sure to look perfect beneath the tree.